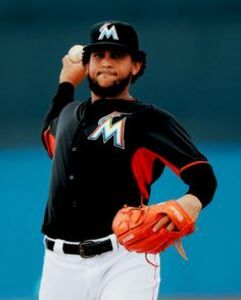 After years of battling injuries and basically written off the baseball map, Henderson Alvarez has made it back to the major leagues. Since appearing in seven games with the Long Island Ducks, totaling 32 innings, it appeared Alvarez was getting back into the groove after not appearing in a big league game since 2015 or building up any substantial minor league time either. Alvarez went 2-1 striking out 13 and posted a 3.09 ERA, which was good enough for the Phillies who sent him to Triple-A Lehigh Valley, where played some of his best baseball in years. The sample size is small (three games), but Alvarez has always had great stuff and he proved it once again. In 19 total innings he struck out eight, walked six and orchestrated a 2.84 ERA. He also held opponents to a .268 batting average. With the end of the 2017 coming to a close, and the Phillies sitting at 58 total wins, it’s time to see what they have going in to 2018. At 27, there is nothing stopping him from turning into a long term solution for any club going forward. The Phils made a move with no downside, the upside could be unlimited.